When storms roll into San Diego, it’s important to know what damages can happen to your home! Regardless of whether the damage is a few inches of water on your floor or a flooded basement, water damage is never fun to handle. We at SM Absolute are in the business of cleaning up flood and water damage. 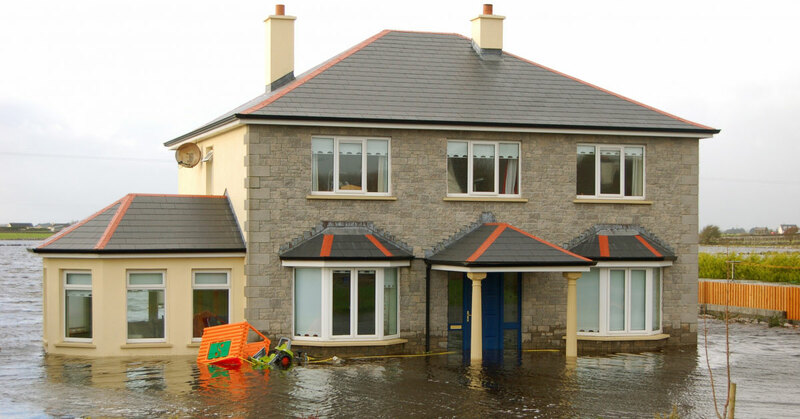 However, we would prefer that your home stays in good condition before the flood can cause any major damage! Be sure to follow these methods of protecting your property when a flood is imminent. Check your sump pumps and drains to make sure they are all operating correctly. Make sure you won’t have any sewage backup by hiring a plumber to install an exterior or interior backflow prevention valve. This will keep water from coming back after it flows out. Keep sandbags in your home. You can place these sandbags around your home to help divert water away from your foundation. Do you know your community’s flood alert signals? Whenever bad weather is approaching, check to see how they send out flood warnings. If the area you live in is frequently flooded, collect emergency building materials ahead of time. This may include sandbags, nails, shovels, plastic sheeting, plywood, and lumber. This way, you know there will not be a shortage once the damage has been cleared away. Practice your evacuation route, and create one if you do not have a plan set in place already. Make sure everyone in your family knows where to meet should you get separated for any reason. Pack a survival kit that includes all your insurance information, medication, other important documents, and necessary survival items. While the flooding is happening, keep a radio on hand to listen for updates. If you have a battery operated television, this may make things even easier. When the authorities recommend evacuating, make sure you listen! Staying in your home is not worth your life. Move to high ground that is above the water, and do not attempt to drive or walk through any standing water. Also, keep your distance from any fallen power lines or electrical wires. Once the flood is over, listen to the radio and do not return to your home until authorities have announced that it is now safe to go back. Once you can go back, check for damage. Make a note of anything that has been damaged and quickly report your loss. For your safety, always check for snakes or other creatures that may have found their way into your home. Throw away any food that came in contact with floodwater, and do your best to get rid of any water left standing in your home. After documenting all of the damage, call SM Absolute in San Diego. Our team of water damage restoration experts is ready to clean up your home and prevent any further damage from occurring. When disaster strikes, we are there to help!